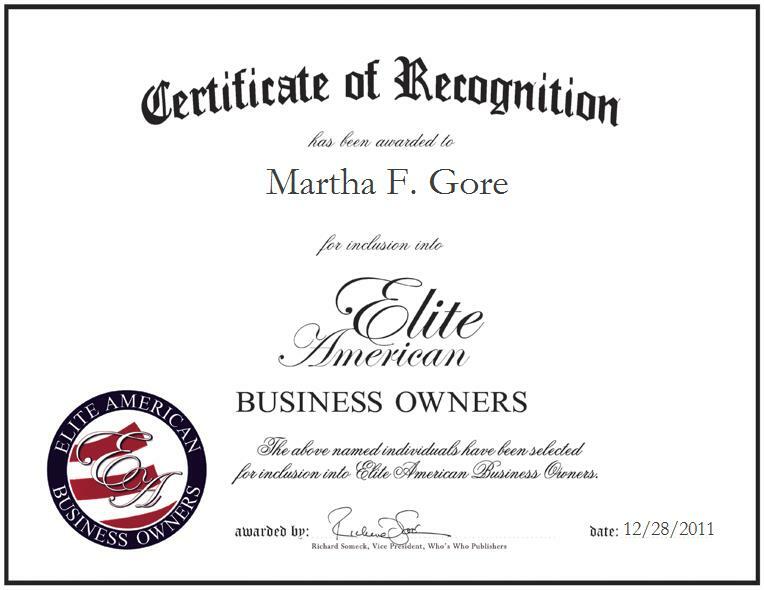 Martha F. Gore is the owner of McThomas, Inc., a provider of premium home renovation, improvement and construction services. At the helm of the company, Ms. Gore maintains the community well, researches period details of homes to restore them accurately, insures property damage, and develops landscape design. She is also in charge of meeting with vendors, attending community meetings, troubleshooting for properties, and working on lake-front commercial properties. She has become lauded as a community leader for handling philanthropic concerns with her company. Ms. Gore has been involved in an array of initiatives geared toward the improvement not only of people’s homes, but of the environment as a whole. She has garnered a reputation of distinction by her sheer determination to leave the world a better place than she found it. Ms. Gore is working on restoring 150 acres back to its natural habitat.